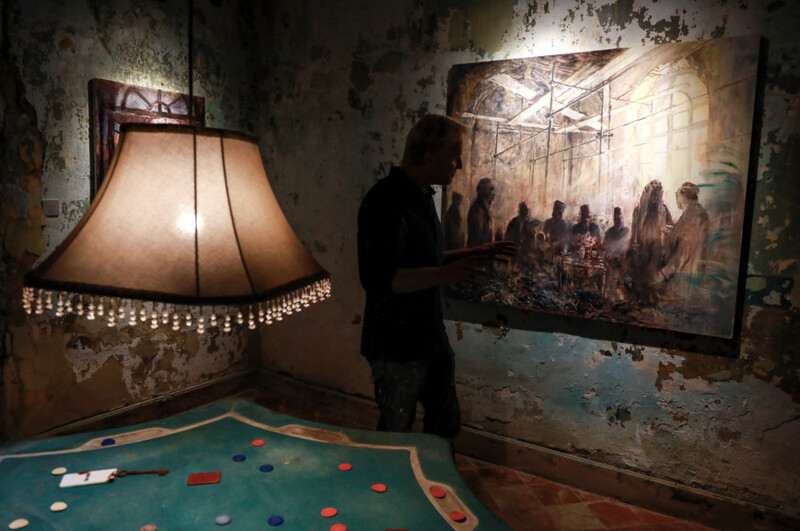 Sofar, Lebanon - Inside an abandoned century-old hotel near Lebanon’s capital, paintings of the Arab world’s once powerful and famous hang around a worn poker table, testimony to its glamourous past before the civil war. 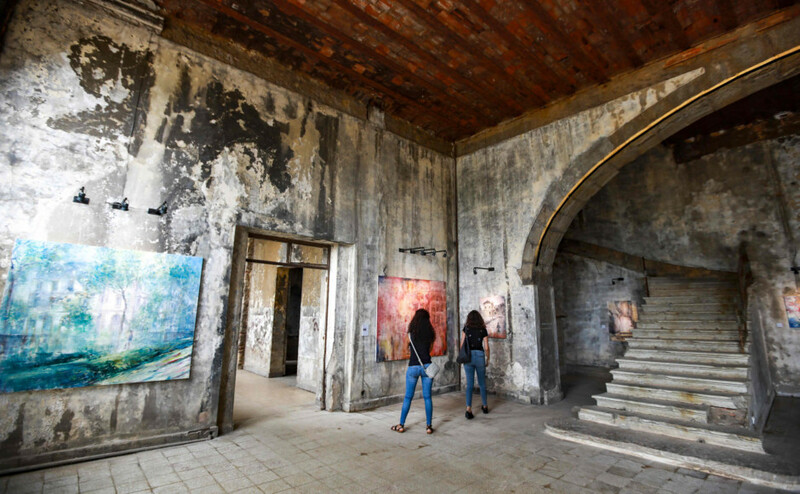 Built in 1892 under Ottoman rule by Lebanon’s wealthy Sursock family, the forgotten hotel today lies near a disused train station in the village of Sofar some 30 kilometres (20 miles) east of Beirut. Crooner Abdul Haleem Hafez serenades belly dancer Samia Gamal in the foreground, while singer Um Kulthum appears in her trademark cat-eye sunglasses seated at a table in the back. In another painting, late Egyptian actor Omar Sharif - who starred in “Doctor Zhivago” - appears to be absorbed in a card game. His portrait hangs near an octagonal poker table, dimly lit by an overhead beige lampshade. Turned over playing cards and colourful poker chips lie on its faded green felt surface. “We tried to curate the exhibition so that visitors enter and feel that nothing has changed,” says curator Nour Haydar. In one, he portrays the leaders who attended an Arab League meeting in Sofar in 1947, including Lebanon’s first premier after independence Riad Al Solh. 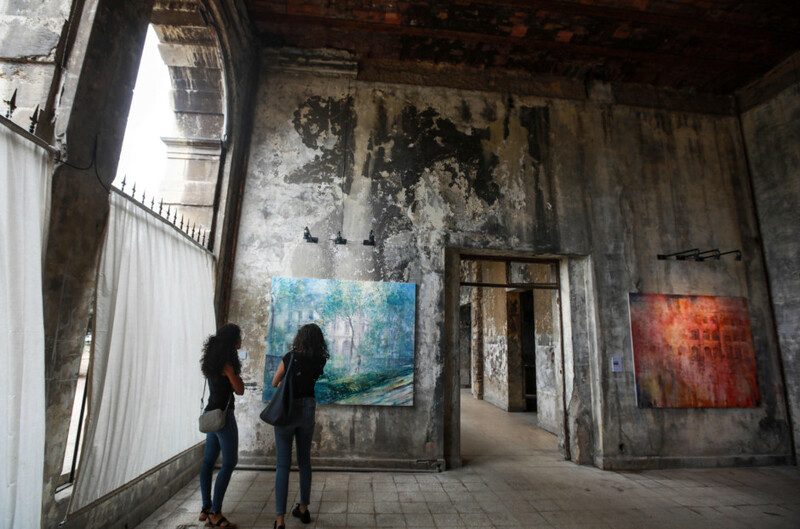 By re-opening the Sofar hotel to the public, the exhibition’s organisers are seeking to give new life to the historic building, turning it into a space for art and education.